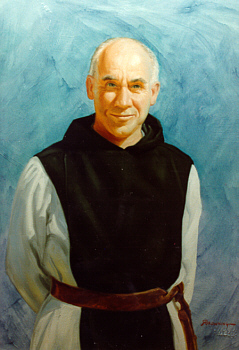 Members of the ITMS receive information on a continuing basis about events connected with Thomas Merton at international, national, regional, and local levels. Members receive The Merton Seasonal quarterly (which includes the Newsletter of the ITMS twice a year). Members can also purchase The Merton Annual at a special rate. Both publications contain articles and updated bibliographies giving members access to the most recent thinking about Merton. Members are entitled to reduced rates for General Meetings and have access to the rich collection of Merton manuscripts, photos, drawings, and memorabilia at the Thomas Merton Center in the W.L. Lyons Brown Library at Bellarmine University in Louisville, Kentucky. Details about how to join the ITMS. The ITMS holds a General Meeting every other year. These forums produce lively exchanges, spiritual renewal and new scholarly Merton research on an international scale. The fifteenth general meeting was held in in Olean, New York from 15-18 June 2017 at St. Bonaventure University and the sixteenth general meeting will be held in Santa Clara, California from 27-30 June 2019 at St. Clara University. In the year following an ITMS General Meeting, meeting presenters and Daggy Scholars (recipients of a scholarship for young adults) are invited to Gethsemani for a retreat based on the theme of the past conference.